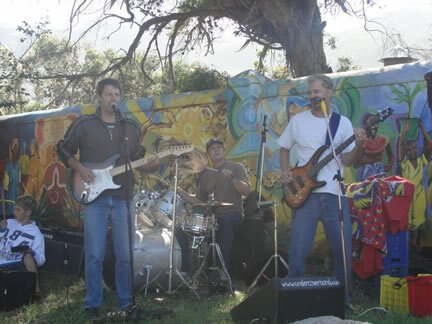 "Undercover" is our cover band operating in and about Cape Town. We are ready to Rock at your event, private function, wedding or party and will bring live music right to your front door. Contact us for a booking enquiry or quote. 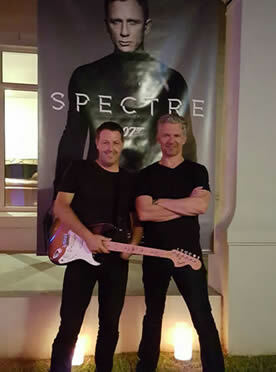 This cover tribute band consists of myself (Linton) and partner Anthony, combining with different artists who are available to play at the time. 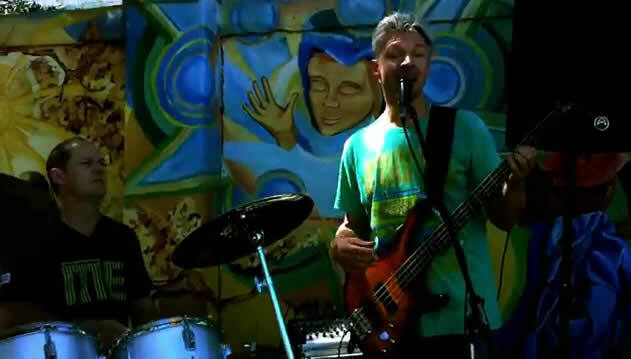 The band can function as a 3 piece with live drums or as a Duo using backing tracks. These combinations allow for a versatile and entertaining tribute band playing covers. We play a wide variety of Rock and pop music appealing to all ages and can adapt our performance to suit the mood of your event or function. 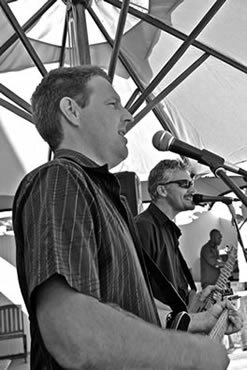 As a Duo we use pre recorded backing tracks (No live drummer) which gives us the ability to play a wide and diverse variety of songs and music styles that are necessary for a successfull band. This is possible as the backing tracks have instruments like piano, strings and saxophone etc.. We both sing lead and harmonies and play guitars with our tracks. The volume can also be better controlled and this can be more appropriate for venues or functions where surrounding neighbours and volume issues are a problem. However we are still able to generate a high volume when needed and be just as loud and festive as any live band. As a Solo band I play a mixture of Rock, Pop and Country songs. I really like the old music and I would say that my rep consists of about 80% old to 20% modern. I play an electric guitar and backing tracks over my powered PA. The Three piece would consist of live drums, rhythm/lead guitar and bass guitar. The Rock sound from the 3 piece is powerful and great for a venue that doesn't need to worry about live music affecting the surrounding neighbours. 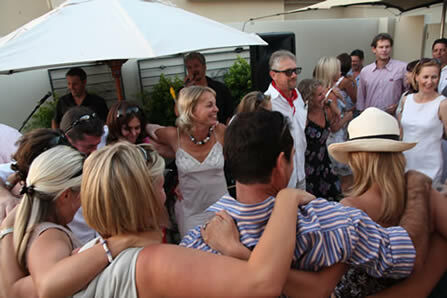 No matter what the combination or occasion, we love to get down and party. We have a serious but fun loving attitude towards our function band and our performances. Music is a great part of our life. 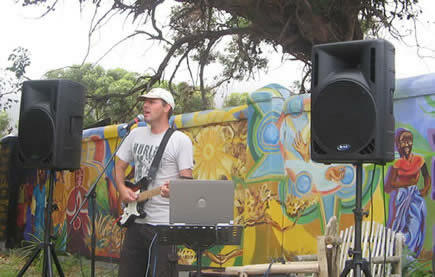 The Band set up on the side of the road in Noordhoek to entertain the participants and the spectators at the 2010 Argus Cycle Tour with 4 hours of great music. It was a good and fun filled afternoon with our undercover band (coverband). Playing for fun and support at the 2012 Pick & Pay cycle tour.